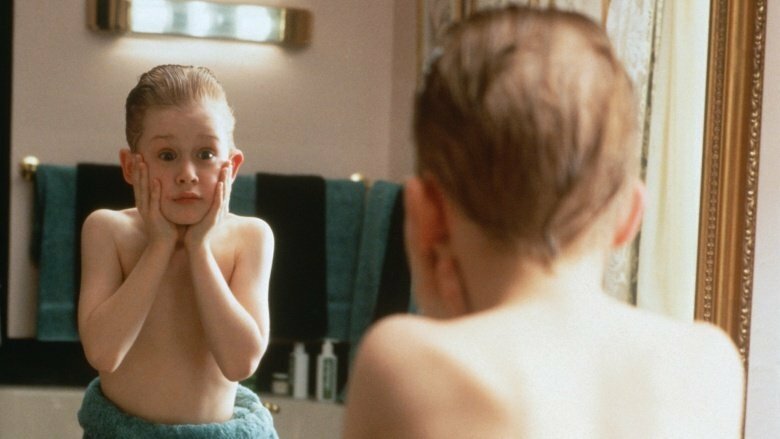 Everyone fell in love with Macaulay Culkin in the early '90s, when the adorable child star racked up a string of appearances in a series of hit films that included the first two Home Alone movies. 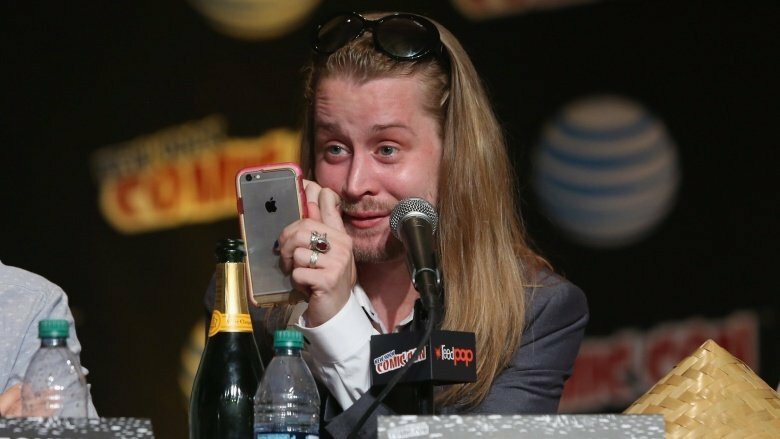 More than 25 years after Home Alone hit theaters, the grown-up Culkin is pretty much MIA. What the heck has he been up to? Being such a successful child actor apparently afforded Culkin the opportunity to stop working at a surprisingly young age. "I'm a man in his mid-30s who's essentially retired," Culkin told New York magazine in 2016. "I kind of go where the wind takes me a little bit." He went on to say that he spends his days painting, writing in his notebooks and "whatevering"…whatever that means. After a nine-year hiatus, Culkin returned to the big screen in 2003's Party Monster, playing the drug-addicted club promoter Michael Alig. Despite the high level of press he received, his comeback was relatively short-lived. He followed Party Monster with a role in the 2004 religious comedy Saved!, then dipped into the TV waters with roles on Kings and the Seth Green-produced animated comedy Robot Chicken. Most recently, he's played a parody version of himself on The Jim Gaffigan Show. Culkin's longtime friend writer/director Adam Green also booked him for a bit role in his upcoming fantasy flick, Adam Green's Aladdin. 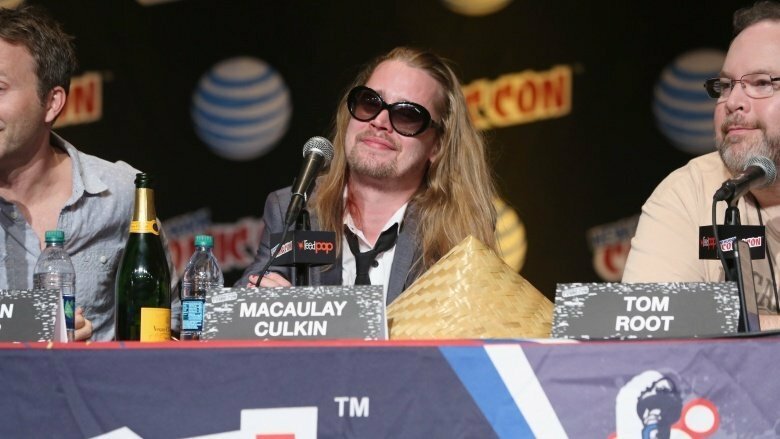 Since 2013, Culkin has been a member of the five-person parody band the Pizza Underground. According to Culkin's New York interview, the band takes Velvet Underground songs and reworks them with a pizza-themed twist. Select parodies include "I'm Waiting for the Delivery Man" and "All the Pizza Parties." Sadly, the band's humor hasn't meshed well with everyone. According to Rolling Stone, the Pizza Underground was booed off the stage at the 2014 Dot to Dot Festival in Nottingham, England. Things eventually got so bad that patrons started throwing beer cans during the set, which had to be cut short after 15 minutes. "Why are you throwing those? I'd rather drink them!" 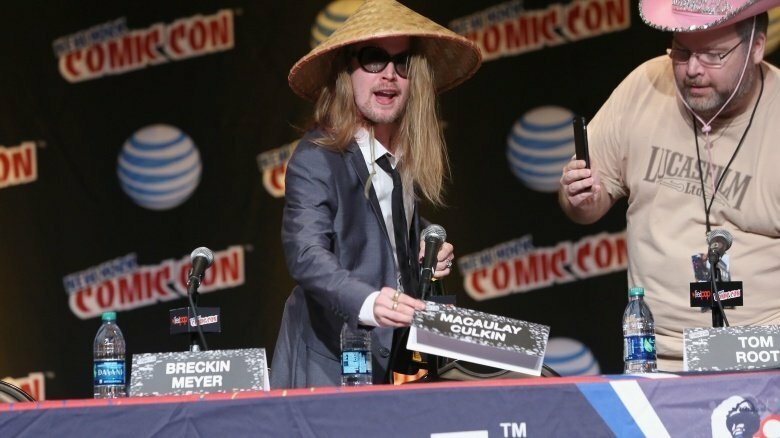 Culkin reportedly quipped. Culkin quietly dated That '70s Show actress Mila Kunis for about eight years, and the couple managed to keep their romance out of the press until the year after their breakup in late 2010. "The split was amicable, and they remain close friends," a rep for Kunis told People. Speaking to Elle UK in 2012, Kunis reflected fondly on her romance with Culkin, saying "Being settled so young really helped. You know, I wouldn't take back anything in my life, not one thing. I think it all shaped me to be who I am today. There are things that people know about, and there are things that the press doesn't know about, and everything that did occur 100 percent shaped who I am. My ex-boyfriend, my family, my friends, everybody." Later that year, Kunis began dating her former That '70s Show co-star Ashton Kutcher, and the two married in 2015. 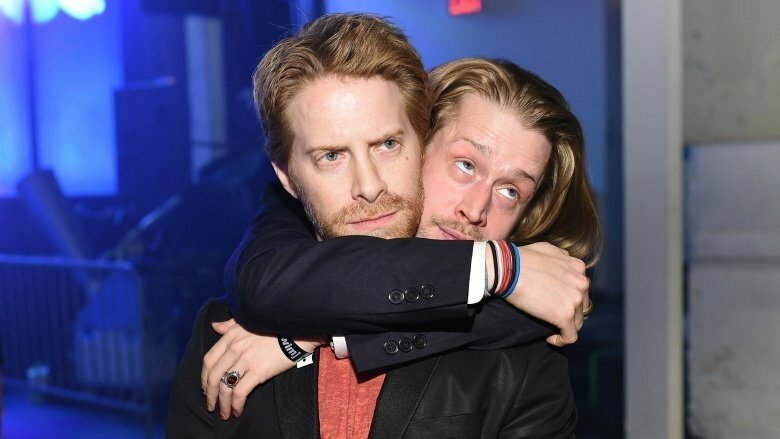 In December 2013, Culkin's dating life returned to the tabloids when he was spotted on a date in Paris with All My Children actress Jordan Lane Price. "They were very animated and talked together a lot," a source told People after photos of Culkin and Price kissing hit the internet. The gossip sites took a special interest in Price, mainly due to the fact that she looked almost identical to Culkin's ex, Mila Kunis. No word on how long the couple actually dated, but according to Price's Instagram account, it would appear she has since moved on to James Levy, lead singer of the band Reputante. A few years before Culkin hooked up with Kunis, he was actually a married man. 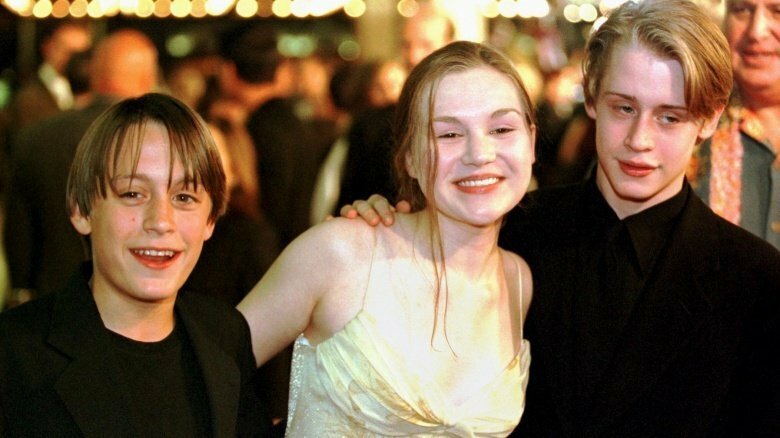 Yep, in 1998, the then-17-year-old actor married another actress, Rachel Miner, also 17. "We're so happy and proud that we found each other at such a young age. We look forward to spending our lives together," the couple said in a statement published by the New York Daily News. Sadly, their union only lasted two years. According to reports, they separated in 2000; their divorce was finalized in 2002. In 2004, Culkin was arrested in Oklahoma City on charges of possession of marijuana and medication without a prescription. At the time of the arrest, People noted that police found "17 grams of marijuana, eight Xanax pills and 16 pills police identified as a drug prescribed for anxiety and seizures." The following year, Culkin pled guilty to both charges and received a one-year deferred sentence on each. He also had to pay $940 in court fees, according to USA Today. 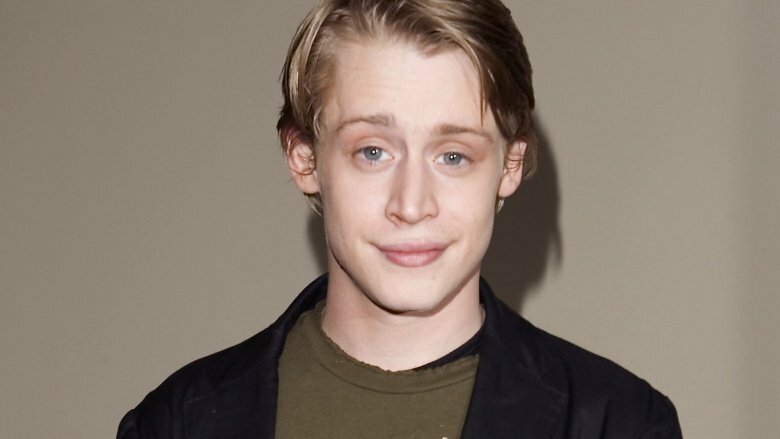 In 2012, Culkin was the focus of tabloid reports speculating that his noticeably frail figure was the result of a $6,000 per-month drug addiction. According to the National Enquirer, Culkin's alleged drugs of choice were heroin and oxycodone. He was also reported to be headed on a "downward spiral." 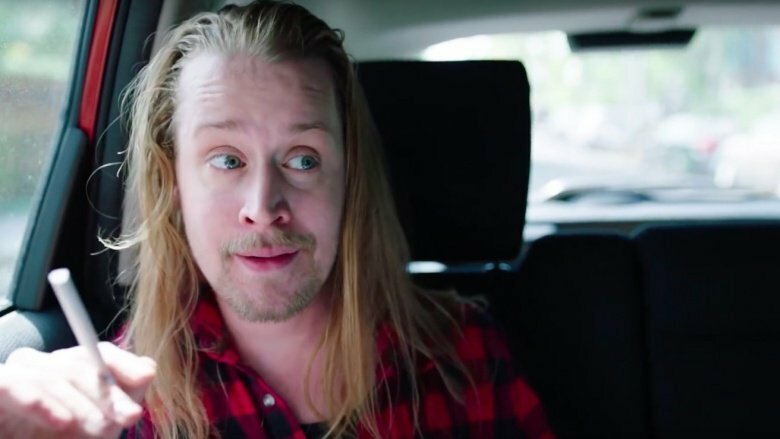 A rep for Culkin later shot down the report, telling the Daily Mail: "The report in the National Enquirer that Macaulay Culkin is addicted to heroin and assorted hallucinogenics is not only categorically without merit, but it is also impossibly and ridiculously fictitious." In his New York interview, Culkin revealed he splits his time between New York and Paris, partially because nobody approaches him in the City of Lights. "It turned out that no, they recognized me, they just didn't care," he told the magazine. "I was like, 'Where have you people been my entire life?'" 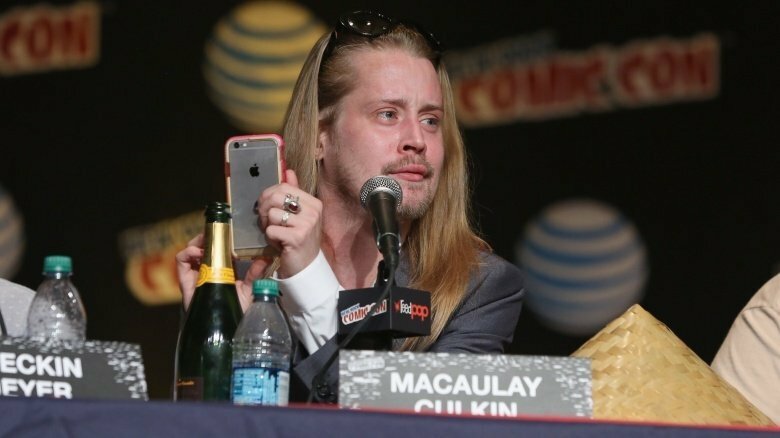 Culkin went on to share the story of the time he needed the wifi password for a cafe he was visiting, and it turned out to be his own name. "When [my waitress] came back, I said, 'I like your Wi-Fi code,'" he recalled. "She goes, 'Thank you,' and I say, 'C'est moi.' She turned white and brought over the owner of the place, who said, 'I knew you'd come here someday.'" Home Alone fans who can't quite make it to Paris can still catch Culkin on his home turf—they're just going to have to stay up really, really late. "I'll take walks at two or four in the morning [in New York]," Culkin told New York, "because there's nobody out on the streets and it's easy for me to go unnoticed." That's totally understandable, but on the other hand, the only thing weirder than bumping into Macaulay Culkin on the sidewalk would be spotting him out for a stroll at 4AM. After years of hiding his superstar features under a shaggy hairdo—or sparking widespread concern over his health with his suddenly gaunt appearance—Culkin made headlines in July of 2017 when he was seen sporting a clean-cut new look. On one hand, yes, it's sort of silly for a haircut to make the news. On the other, it's easy to understand why Culkin's fans were excited—all of a sudden, he looked like a grown-up version of the kid filmgoers fell in love with decades ago. What this means for his future fashion choices is obviously anyone's guess, but in the meantime, he should definitely tip his barber extra.